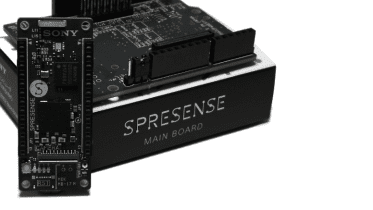 If you follow me on Twitter, you’ll know all too well that I currently have a Kickstarter campaign running for a new Raspberry Pi prototyping board that houses the Camera Module within the prototyping space. I’m working on a few example boards to show people different ways they can use my new design. 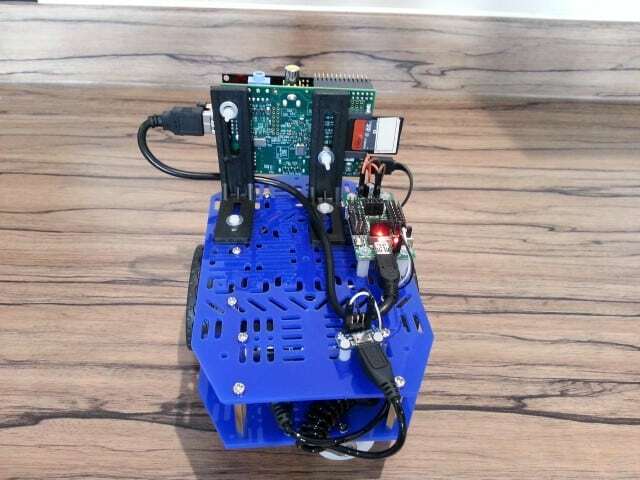 After some discussion on Twitter from one of my backers, I decided I would rebuild my Dawn Robotics PiRobot with the ProtoCam and Pi mounted on the front. 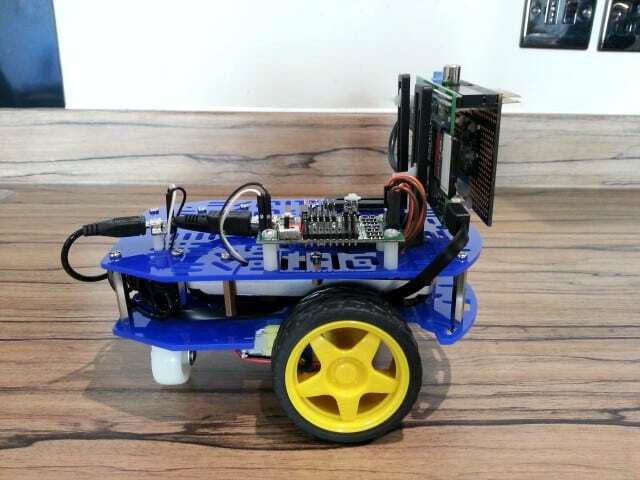 This is a great modification for your existing robot project if you want to add a camera to it. 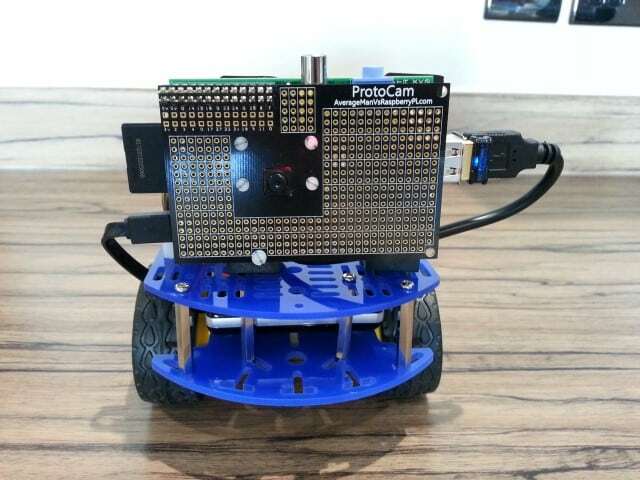 Using the Pi and ProtoCam mounted on the front saves a lot of space on your robot chassis for other things such as controller boards, batteries and sensors. 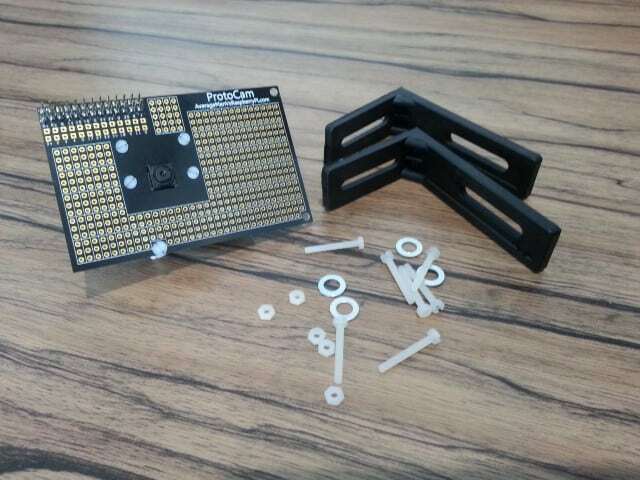 With the right layout, I think you could even get away with having a single chassis plate whilst using the ProtoCam, using the space behind it to mount them on. 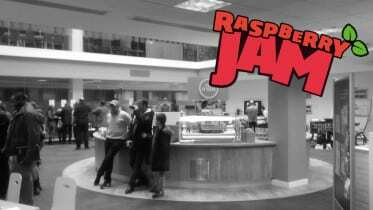 (Normally your Pi would be here). I jumped on eBay for the L-plates – just some simple plastic ones designed for kitchen panels, a couple of quid for 10 of them – the adjustable ‘slider’ design is helpful for fitting. DIY store metal brackets are probably a good shout too, just make sure you use plastic spacers to avoid shorting anything out. Most robot chassis on the market come pre-cut with lots of different holes and mounting options. This is perfect for mounting a ProtoCam on the front of your robot as you have lots of options as to where you fit the L brackets – right at the front, set back, sideways – it’s up to you, but I went for for the frontal mount. I think it’s best to mount the L-plates to your Pi first so you can then work on finding the perfect spot on your robot chassis. Here’s a video of the “ProtoCammed” robot having a spin around my kitchen. It’s struggling with the weight of the power pack I added a few days back – I might have to revert to good ol’ batteries! It leans forward a bit as well, as the powerbank is fitted too far forward – I’ll be tweaking this and adding sensors and lights to my ProtoCam robot – watch this space. And yes…I really need to learn how to control this thing! 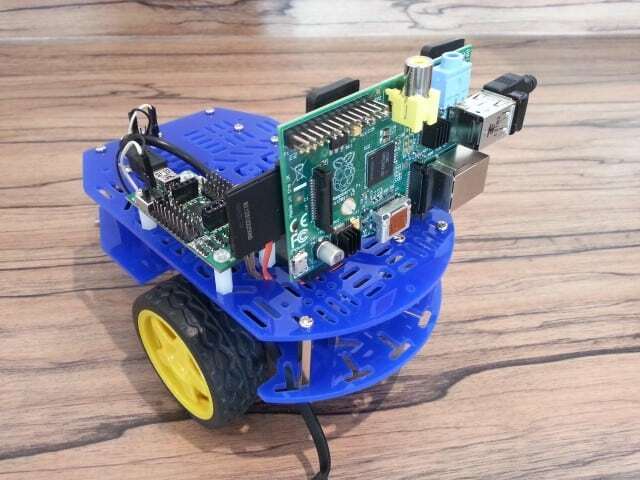 If you want to add a ProtoCam to your Raspberry Pi robot project, you can get one from most good Raspberry Pi stores. 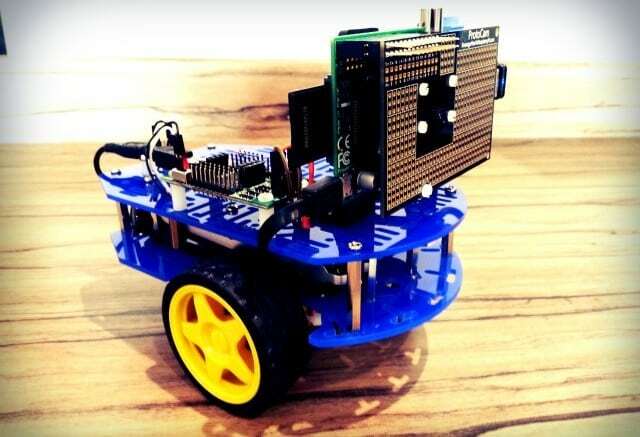 Be the first to comment on "A Front Mounted Raspberry Pi Robot Camera"